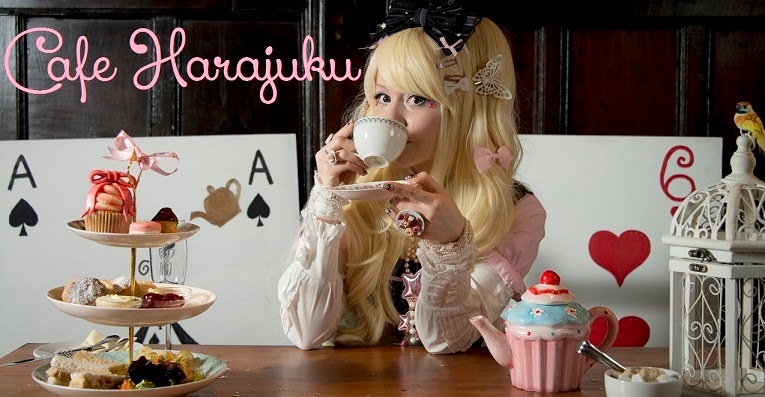 Cafe Harajuku by CanUdoitCat: Subway Cafe Amanti: chocolate delight! 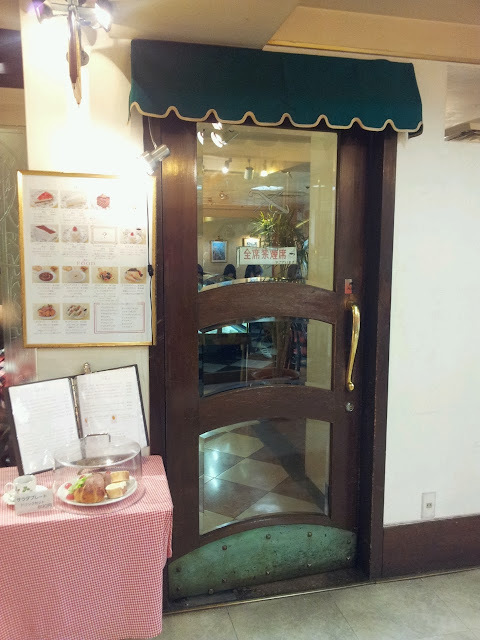 Right in the buzzing subway of Ikebukuro station you can find a piece of Europe. Cafe Amanti, located in the maze of subway hallways, gives you the chance to flee the rush and have a quick moment of rest and the illusion of time. Once walking through the wooden door you are greeted by European inspired interior. A bar with a waiter polishing a glass with a towel makes you feel like you are watching a movie. Sitting down, the smart looking waiter comes over and presents you with the menu. On the door a sign that had praised their hot chocolates has caught your attention and so the choice will be their special hot chocolate. 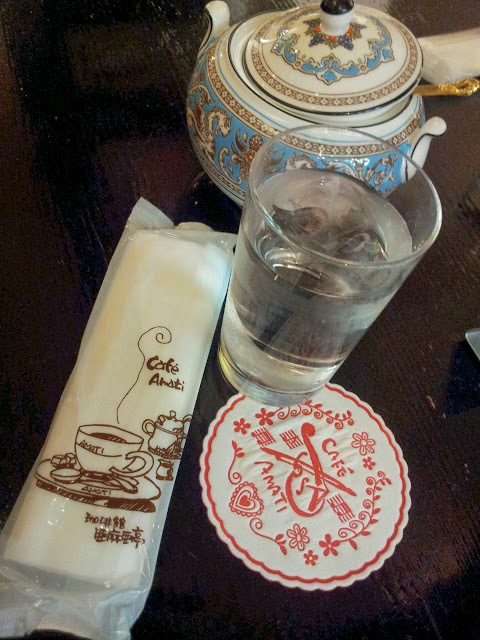 Even the wet towel and the coasters carry the logo of the cafe. Attention to detail that i appreciate. 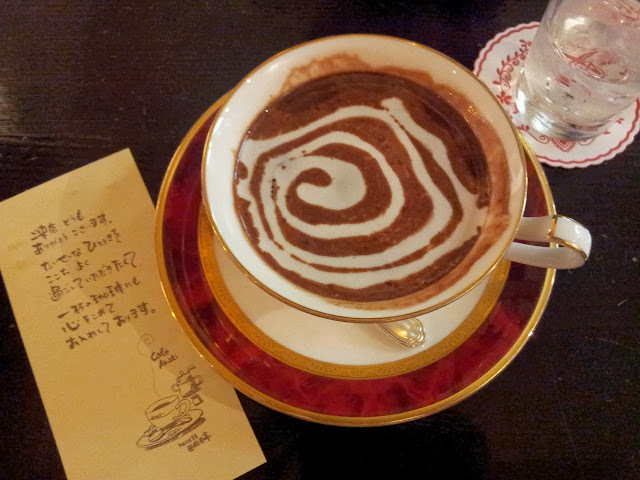 Once the hot chocolate arrives you take a moment to marvel at the thick and dark brown colour, decorated with a white cream swirl. The colour of the drink already tells you that there is a higher cocoa content compared to the average hot chocolate. One sip and your tastebuds pick up rich and strong chocolate flavour. 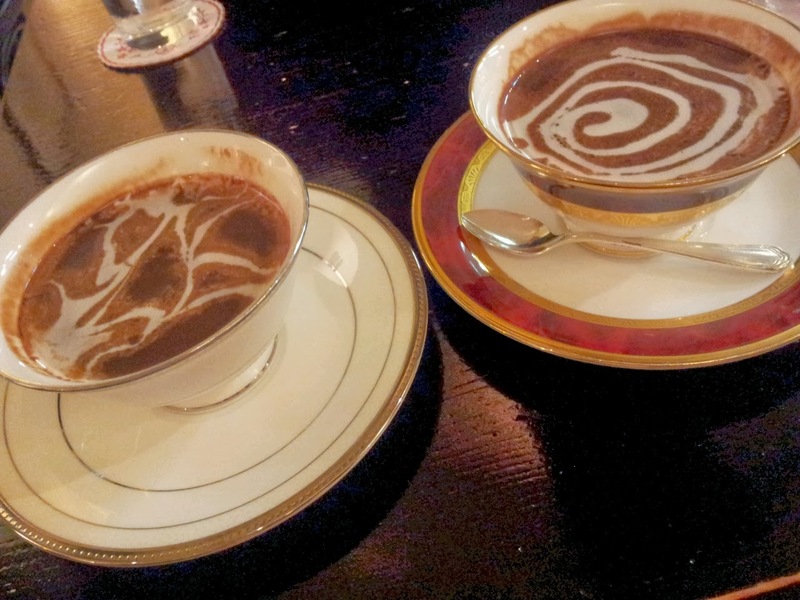 Where some hot chocolates taste milky, Amanti's tastes of dark chocolate. But that is not the only thing trained cafe lovers will pay attwntion to. Looking around you, the person next to you has another delicate teacup with yet another design, different to yours. Even the bill has been customised for amanti customers. A quick stop, a quick moment in a movie europe, is what amanti offers its customers. Classy and a little bit posh, amanti is worth a visit if you want to forget the busy day for a moment.